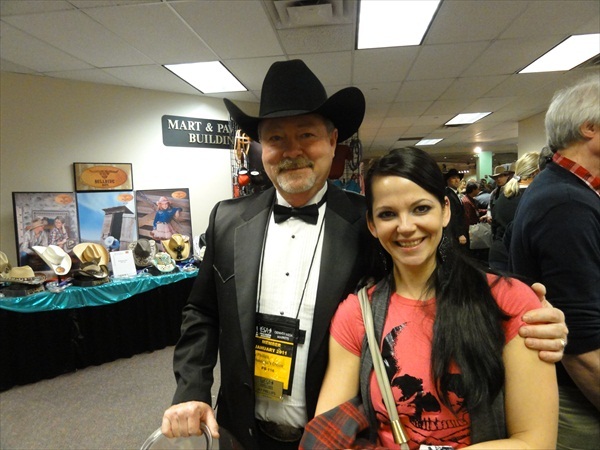 Sharon Camarillo, a barrel racing legend, who has one of the best barrel racing books out ever, was a joy to visit with. 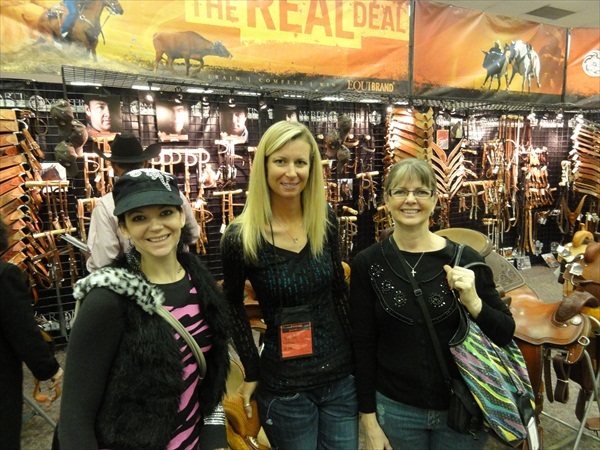 Sherry Cervi pictured with Anita and Annie. Sherry won the 2010 NFR barrels. Sherry designed the Crown C barrel saddle by Martin Saddlery. Sherry and Annie discussed barrel saddle function and fit. Come see a Crown C in our store! This is The Real Billy Cook! 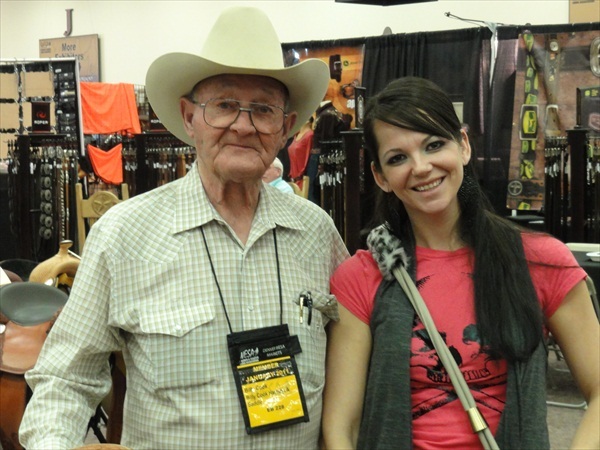 Very nice man and the owner of Billy Cook Saddles. Dan is the guy that has Wild West Braiding. 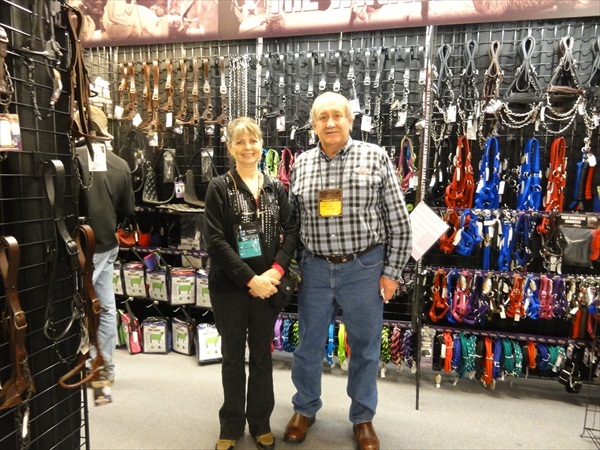 We like his rawhide braided products and the other great quality tack. Dan's okay, too! Paul Weaver and Anita. 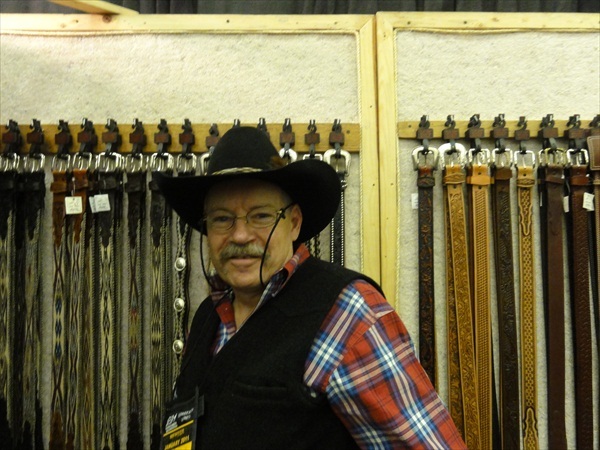 Paul Weaver is the owner of Weaver Leather Products. He cares about his product. He's a nice man. Jay and Annie. Jay is our representative for Professionals Choice, B Bar B, and Outfitter's Supply. He's also some kind of boss guy at the Denver Market, which is why he's looking so awesome in the tux here. Lyle and Annie are having a "spirited debate" at the Cactus Booth. Lyle is a great debater (and a pretty nice guy). Cactus makes nice saddles and tack.